The Kingston Frontenacs squeaked out a 2-1 win in the Limestone City on Friday night despite a vigorous effort from a tenacious Peterborough squad. 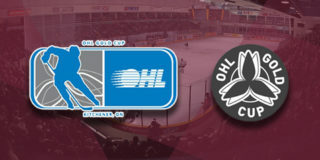 The night opened at a balanced pace before the Petes were handed the first power play opportunity of the night when Matt Hotchkiss was charged with elbowing. It was the Frontenacs, though, who took advantage when, for the second time in as many nights, the opposition opened scoring with a shorthanded marker. A dump-in from the Frontenacs was chased down by Ted Nichol who fed a trailing Brett Neumann in the slot, putting Kingston up 1-0 at 6:19. The black and gold were given an extra man chance of their own late in the frame as Chris Paquette cleared the puck into the stands, earning a delay of game penalty. Peterborough penalty killers were up to the task, though, allowing just one shot against during the deficit. The period closed out with shots 13-7 in favour of the Frontenacs. Play continued evenly into the second frame, with each squad collecting a handful of chances. 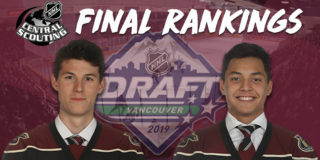 Both Dylan Wells and Jeremy Helvig were determined to give their team a shot at the game. There wasn’t another mark of the scoresheet until Jakob Brahaney, like Paquette, sent a souvenir into the crowd at a cost of two minutes in the box. As they did before, the Fronts successful killed off their second infraction. Wells faced a busy final minute of the stanza as late pressure by Kingston, initiated by an awkward bounce off the boards, but kept the Fronts at bay. Each team threw ten shots on net in the middle period, totaling 23 for the Frontenacs and 17 for the Petes. The maroon and white hit the ice for the third determined to break Helvig’s five-period shutout against the Petes, and Brady Hinz was up to the task. Bobby Dow intercepted a Kingston pass in Peterborough’s zone and moved the puck up the ice to a streaking Hinz. With a Frontenac hot on his heels, Hinz calmed the puck, and lifted the puck over Helvig’s glove into the top corner to tie the game at 1 at 2:47. Peterborough continued to hold their own through the midway point of the period, but the Frontenacs were eager to restore their lead. Linus Nyman, Kingston’s leading scorer against the Petes this season, pounced on a loose puck at 12:15 to put the Fronts back up by one. Eemeli Rasanen and Cliff Pu were credited with assists. 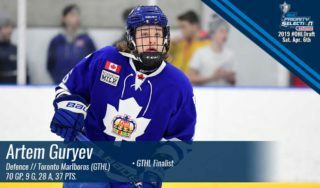 With the Petes stirring to even the game again, Semyon Der-Arguchintsev took a late hooking penalty, sending Kingston to their second power play of the night. Wells was pulled from his net to get a fifth Petes skater in the play, on route to killing off Kingston’s man advantage. 14 seconds with an extra Pete on the ice weren’t enough to catch the Frontenacs. Kingston finished with 34 shots on net to Peterborough’s 24. Jeremy Helvig, Brett Neumann, and Dylan Wells were named the game’s first, second, and third stars. 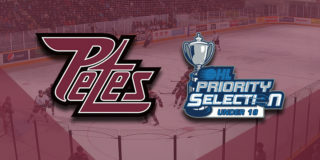 The Petes are back in action on Monday, February 19 at 2:05pm to host the Niagara IceDogs. 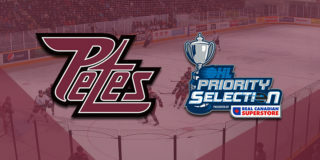 The game is being played in support of Five Counties Children’s Centre, and will be followed by a Skate with the Petes. Game tickets are available starting at $8 through the Collins Barrow PMC Box Office, online or by phone at (705) 743-3561.